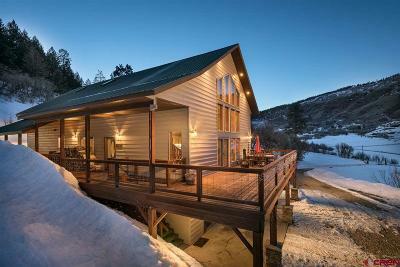 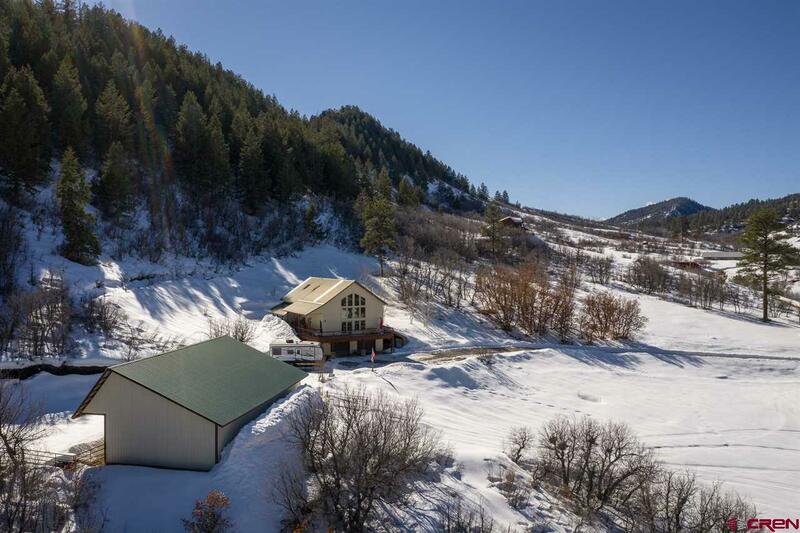 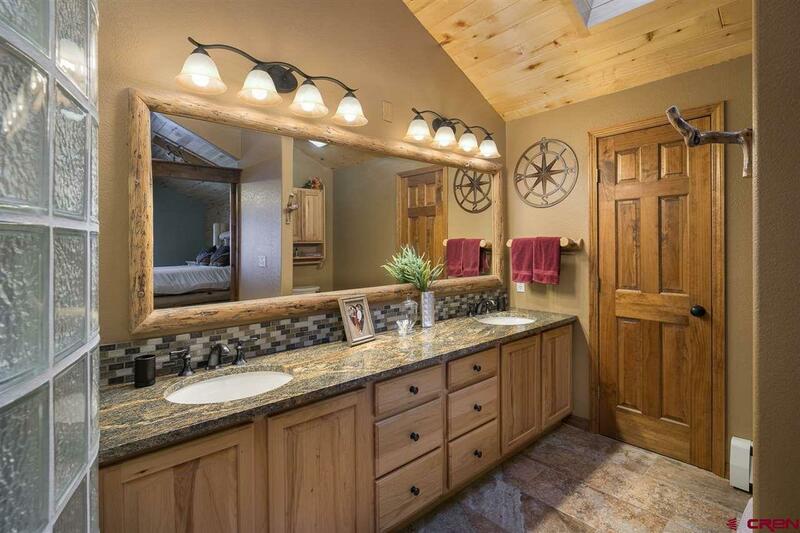 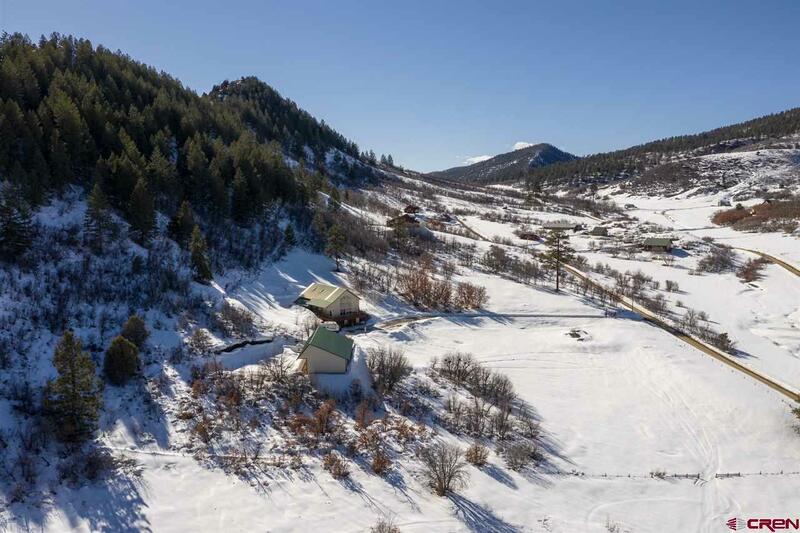 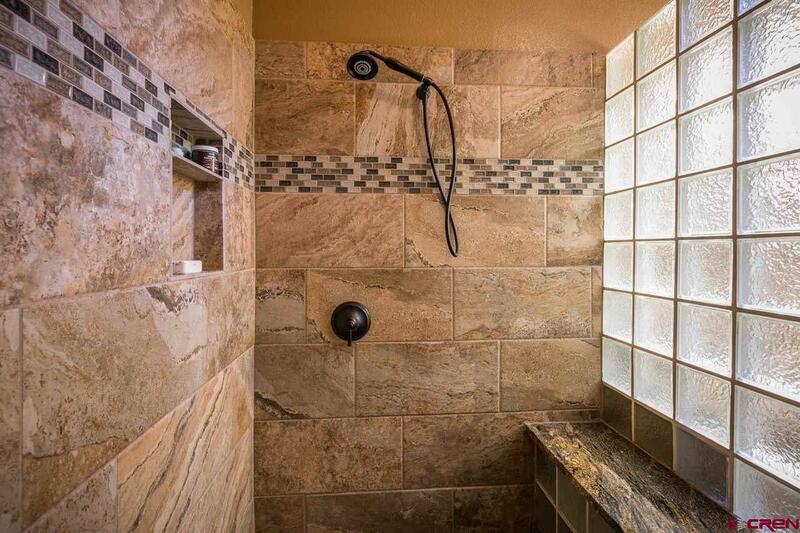 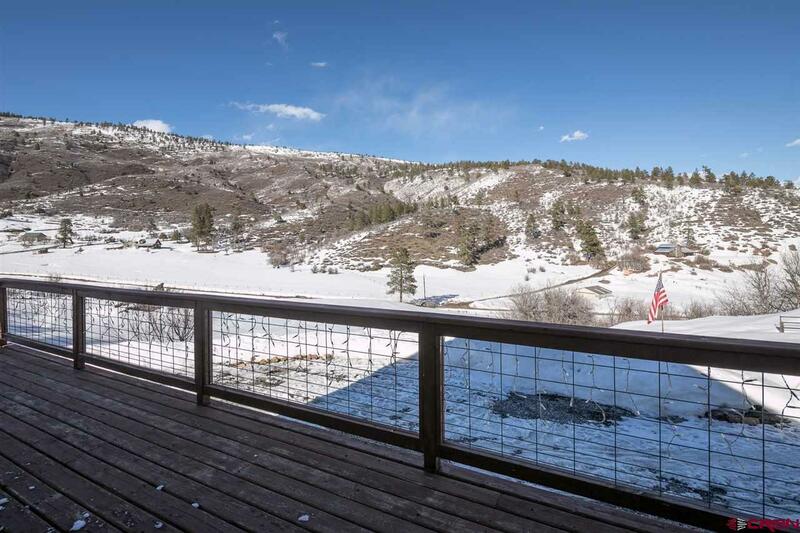 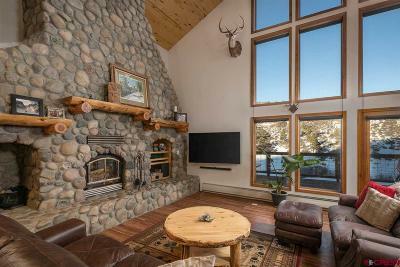 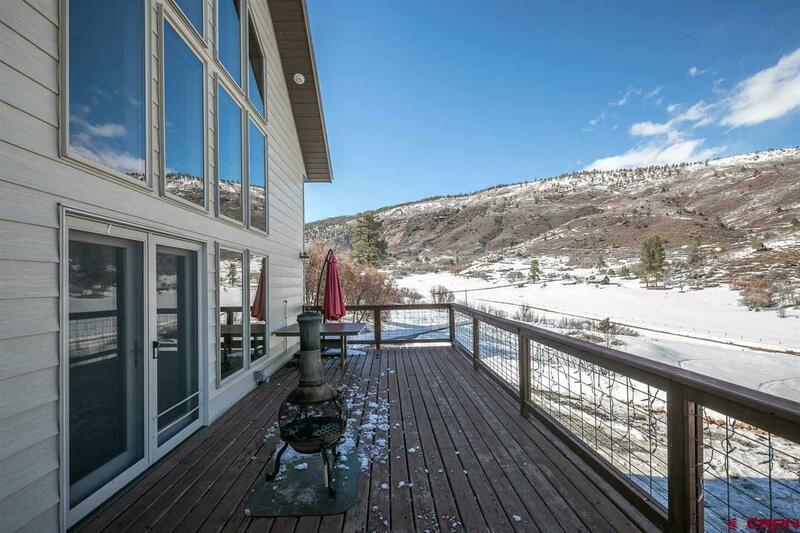 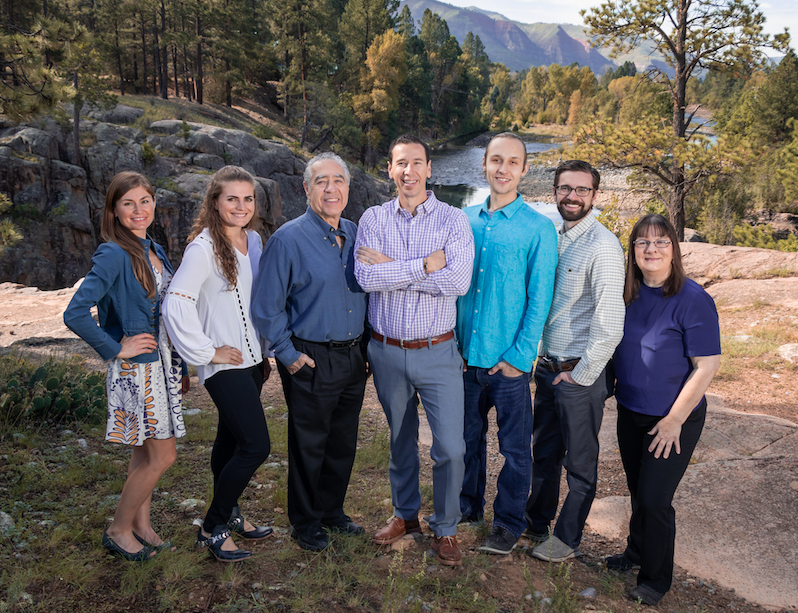 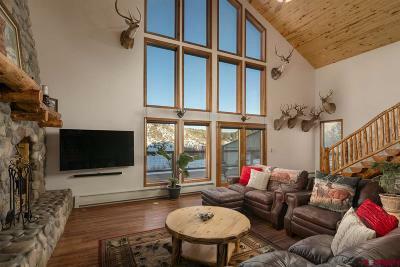 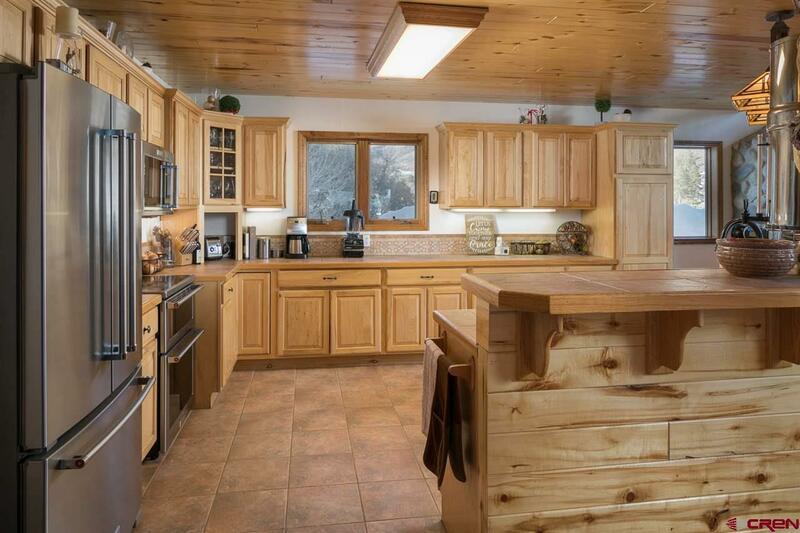 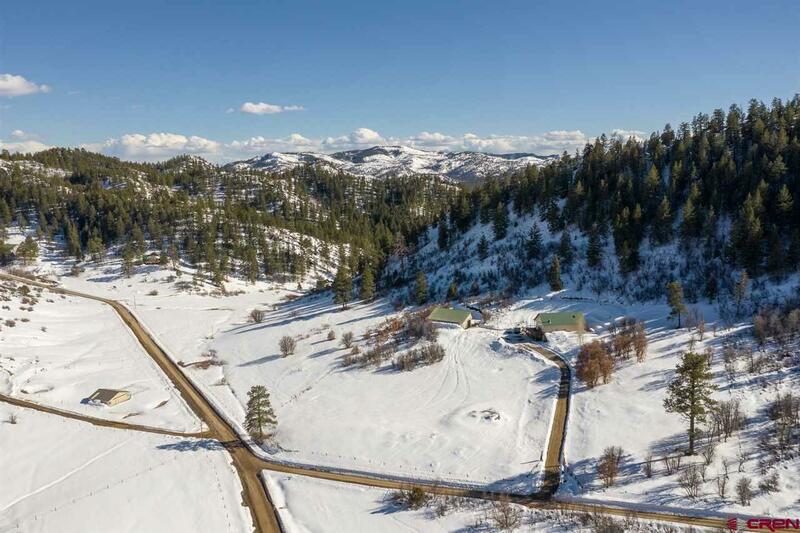 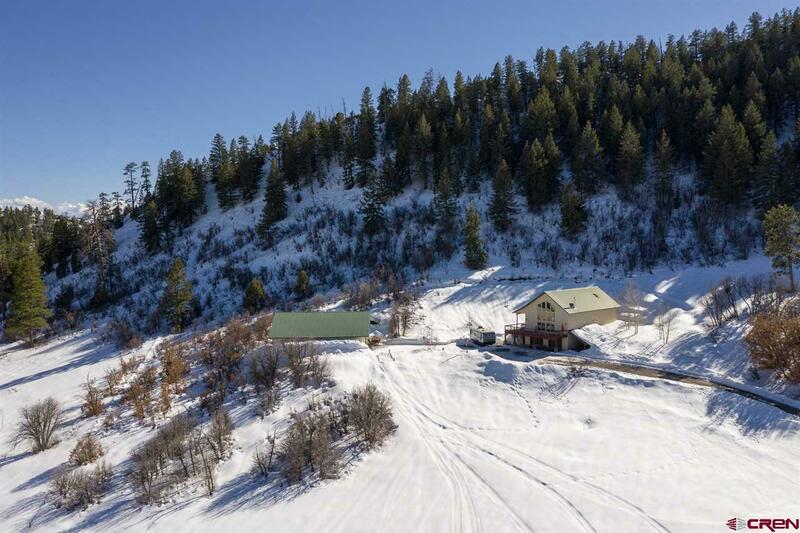 This beautiful home directly borders the San Juan National Forest in the picturesque gated community of Pine Spring Ranch with year-round access. 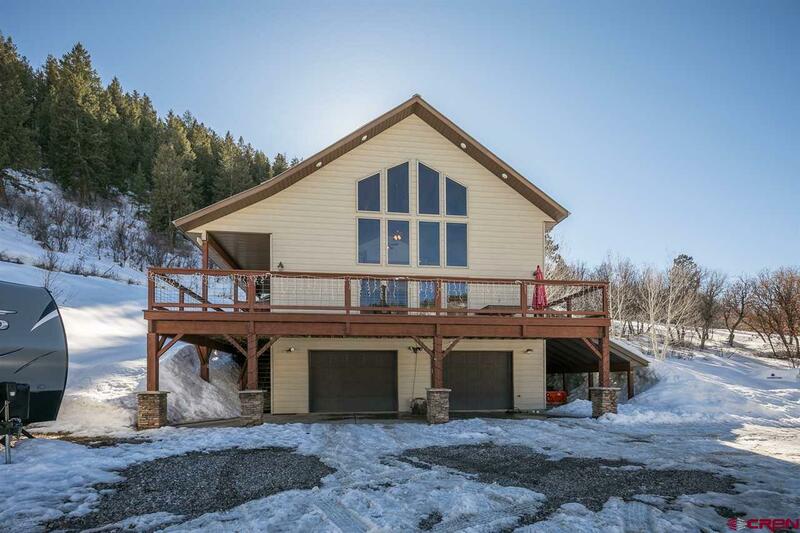 It will be easy to impress your guests in this expansive home with an incredible amount of storage space, giant his and hers closets, grand mountain valley views, and an open floor plan that flows perfectly from the kitchen to the large living room. 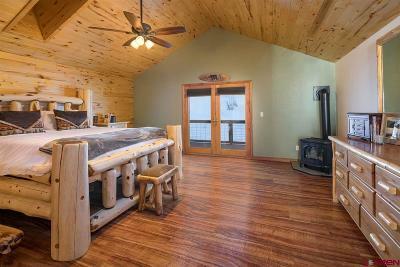 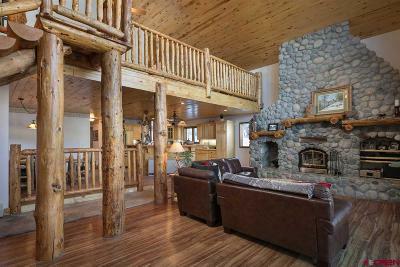 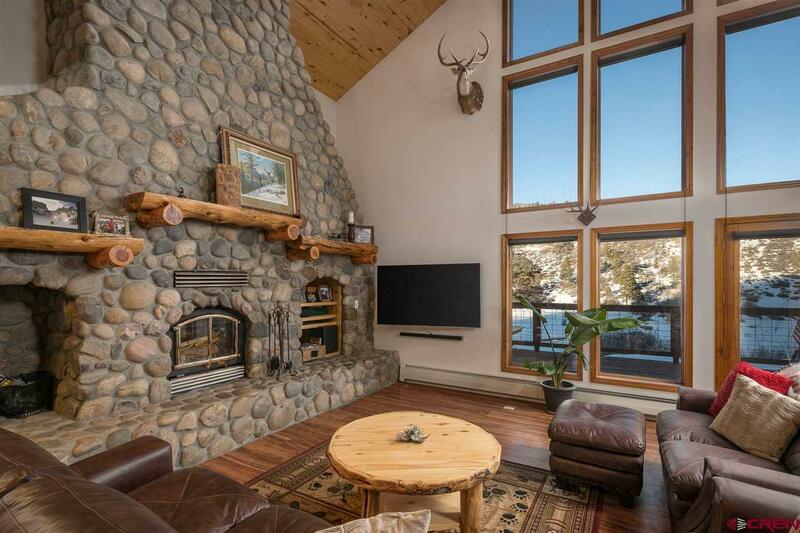 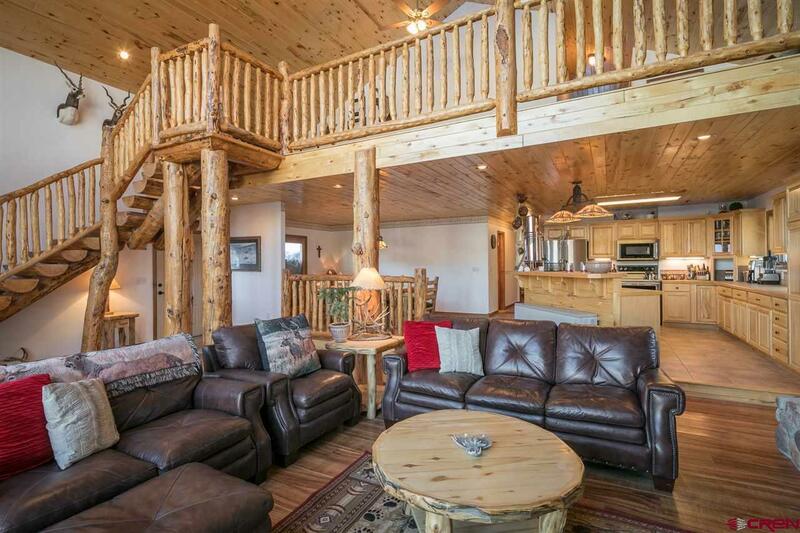 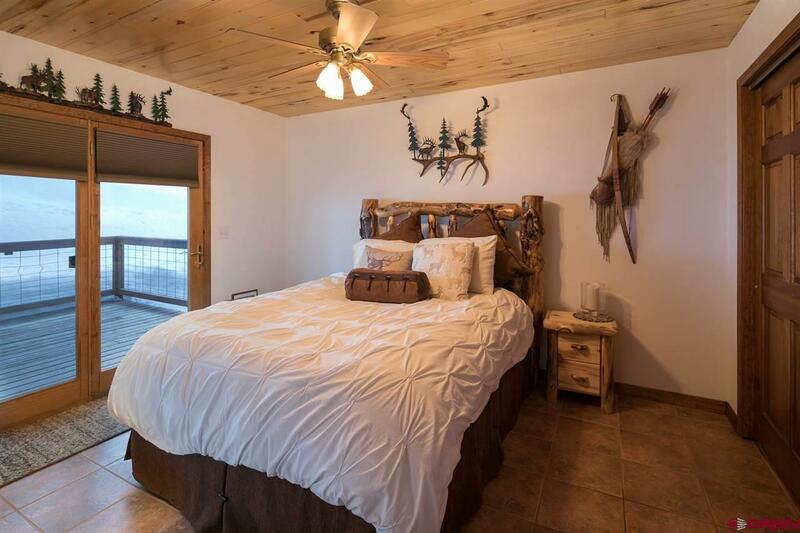 Take in the views of wild elk roaming the mountainside over a toasty fire burning in your huge river rock fireplace. 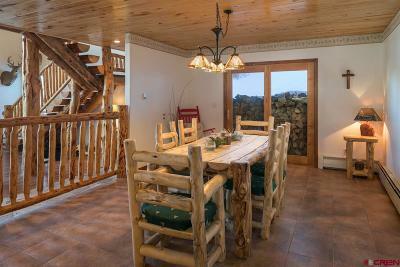 Enjoy a morning cup of coffee or an intimate candlelight dinner on the full wrap-around deck. This home can be as wild and rustic as you need while still satisfying your most upscale and luxury desires. This amazing home has an open concept kitchen/living/dining perfect for entertaining. 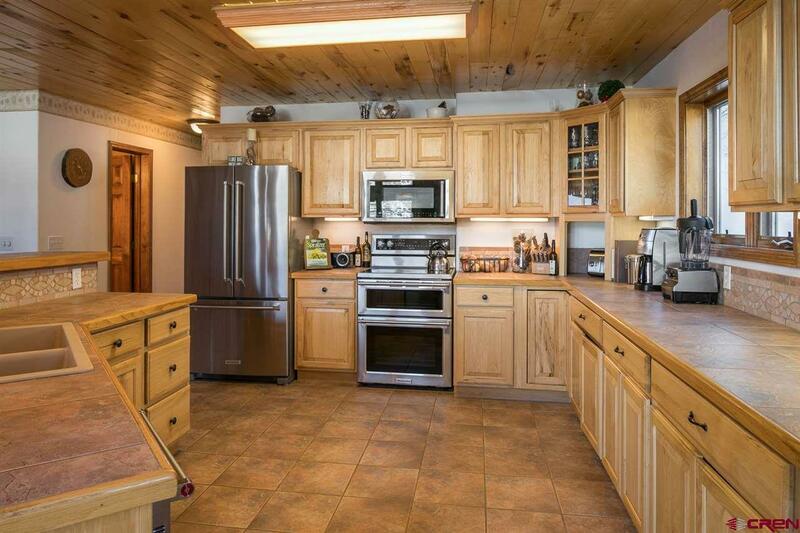 Brand new matching stainless steel KitchenAid appliances are all included and provide functionality as well as aesthetic value. 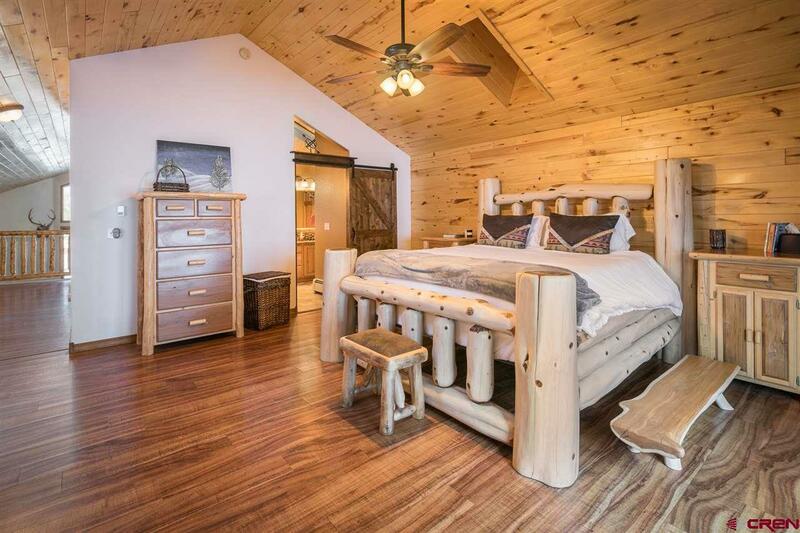 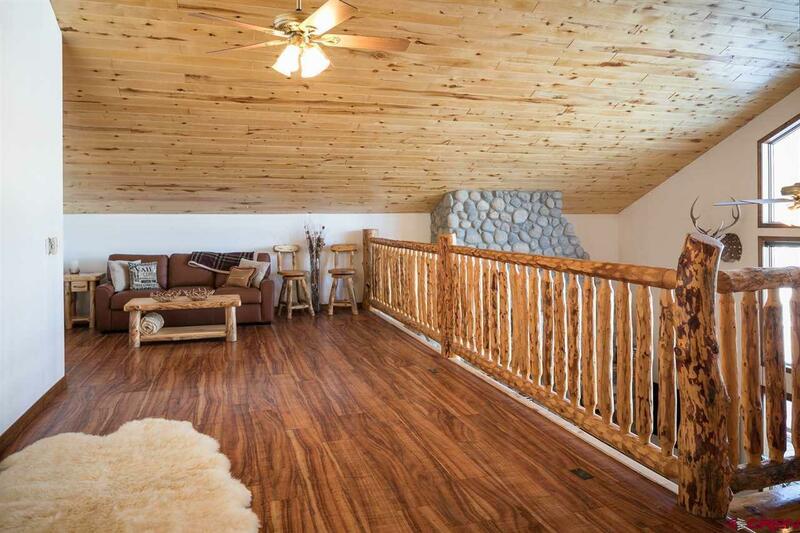 Enjoy the 20 ft. high ceilings along with the natural Colorado wooden beams providing character and class. 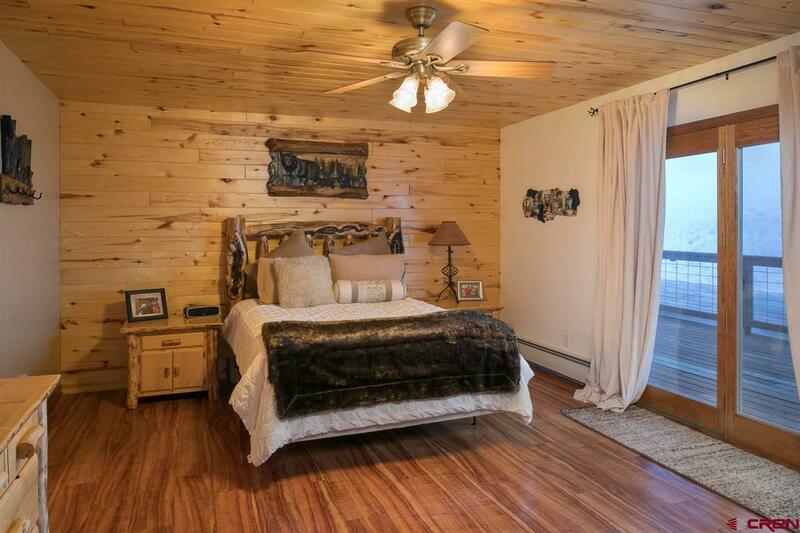 The home has three large bedrooms, two of which could be considered master suites. 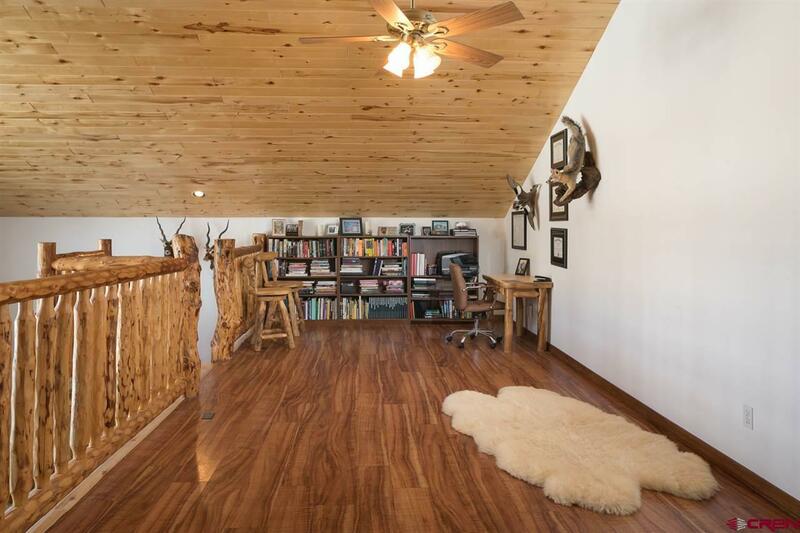 The main master bedroom has a huge walk out loft area where you can build your dream library/office or use it as a lounge or theater viewing area. 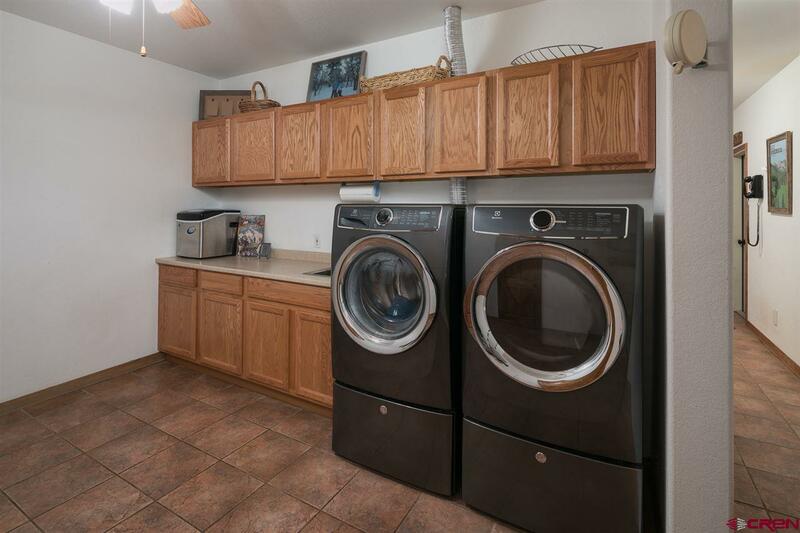 A dedicated laundry room on the lower level includes a brand-new matching Electrolux washer and dryer set which makes it convenient to shed your dirty clothes after a long day of mountain biking or cross-country skiing. 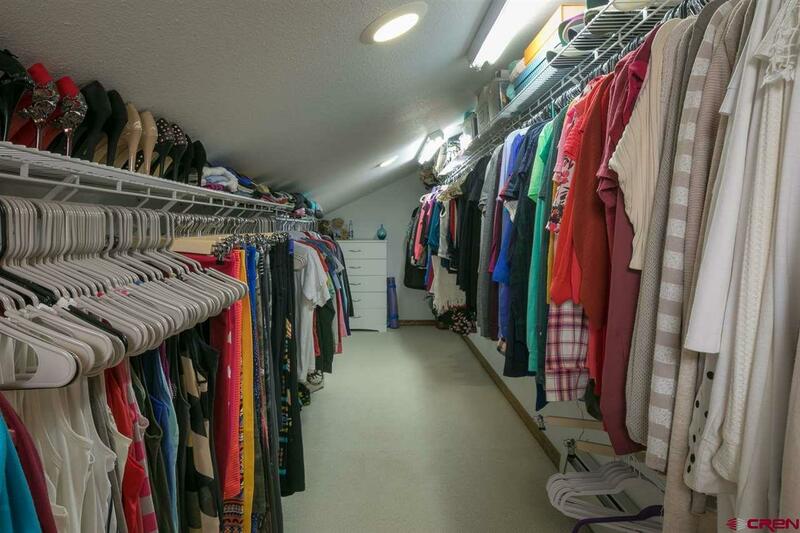 On the lower level is also great for storage area that could also be converted to a dream exercise facility. 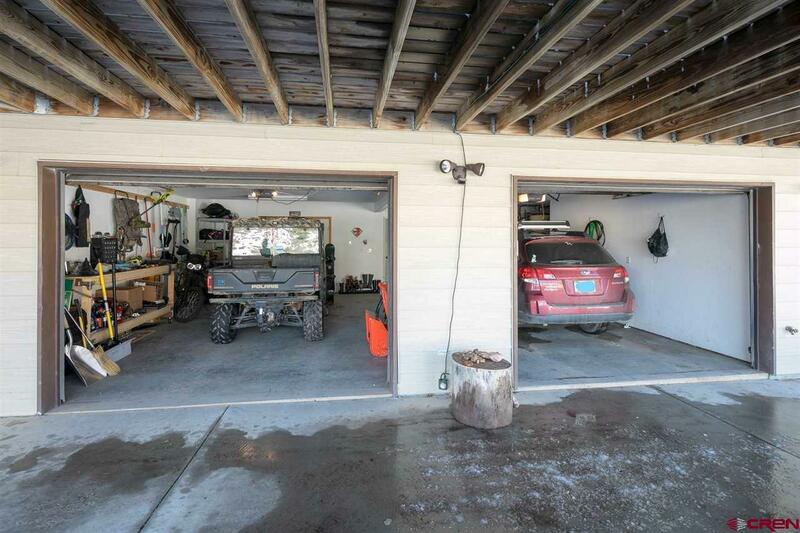 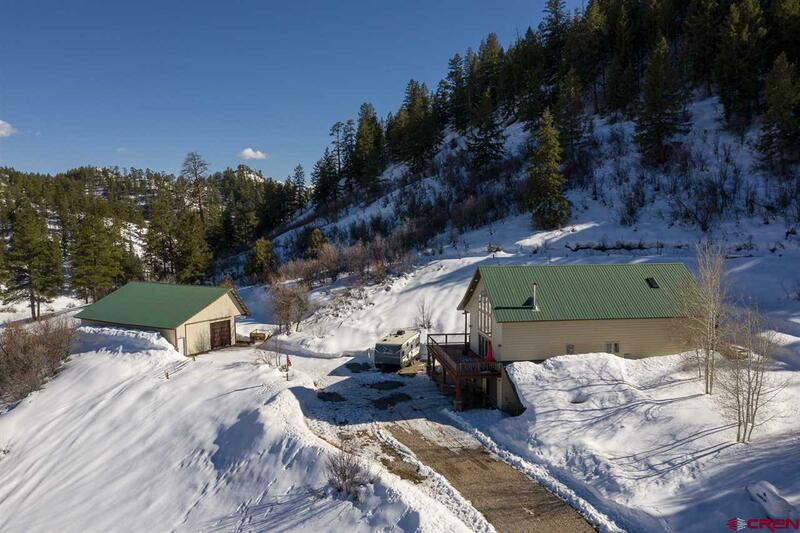 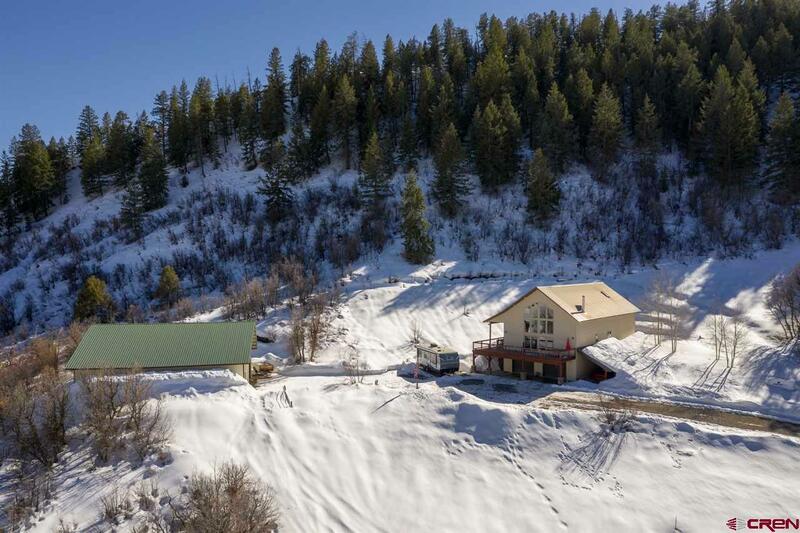 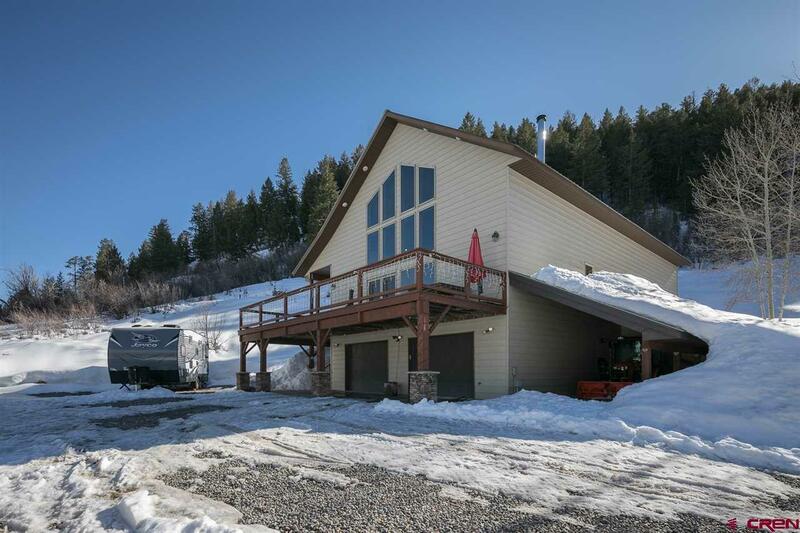 Access this all by pulling in to your large heated two car garage with plenty of extra room for workbenches, snowblowers, ATV's or motorcycles. Home includes a 1800 sq. ft barn just footsteps from the house which is great for additional storage of vehicles, campers or tractors. 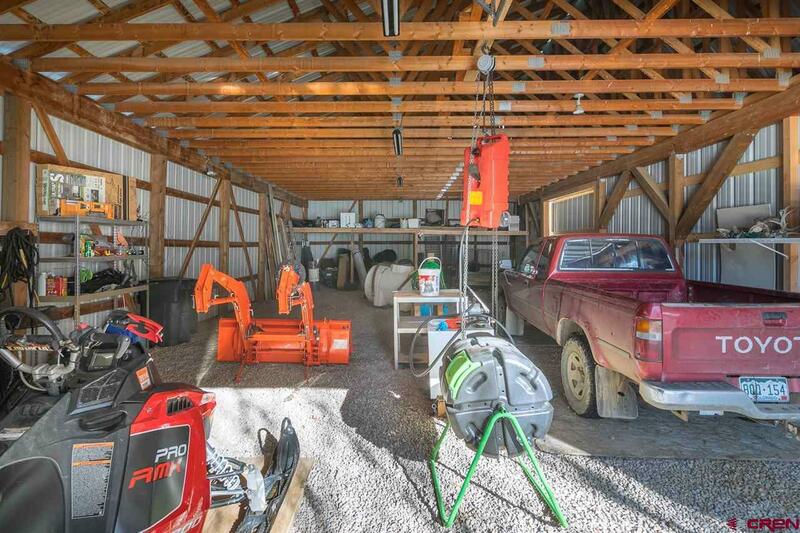 Next to the barn is a large space for a dream garden or greenhouse to show off your green thumb. 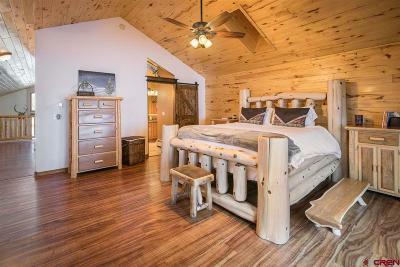 The owners have had great luck growing kale greens, broccoli, and squash in this area, but it could also be used to build a dog kennel for your beloved pets.